Astor cosmetic brand does not stop spoiling us even at Christmas. For women, who love receiving presents, the brand has prepared a Makeup Gift Set which is comprised of three products: Quick&Shine nail polish, Eye Artist eye pencil and Seduction Codes mascara. And all the cosmetics are packed in a little box reminding us that Christmas is just around the corner. As mentioned before, the Makeup Gift Set by Astor contains, among others, Quick&Shine nail polish. When bought as a single product, the cosmetic is available in 30 different shades (for instance, pink, blue, yellow and brown shades)!. In this Christmas box, you are going to find a nail polish of red colour only. When it comes to the features of the cosmetic, it is good at covering finger nails evenly and providing nice and vivid colour. What is more, the nail polish by Astor is durable since it is able to hold up to several days when shielded with top coat. What is more, Quick&Shine nail polish dries out within 45 minutes, giving shimmering finish without smudges. Eye Artist eye pencil is the second cosmetic attached to Christmas Makeup Gift Set by . 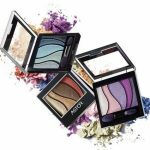 It is characterized by soft texture, thanks to which, it is easy to sharpen, apply and blend with eye shadows. Basically, Eye Artist eye pencil can be bought in two shades: bronze and black. What is astonishing about this cosmetic, the product is equipped with an automatic mechanism which facilitates swivelling the eye pencil’s tip up in order to apply it on eyelash root line. The last component of Astor set is Seduction Codes mascara. And it is not just an ordinary mascara. First of all, because it is designed in a fairly intriguing manner – a thick, red package decorated with yellow spots stores quite an amount of the cosmetic. Secondly, because it contains a brush that facilitates eyelash separation, defining even the shortest and tiniest eyelashes that grow in inner corners of the eyes. In fact, the applicator is pear-shaped since its base is wide and is of red colour whereas the tip is rather thin and black. 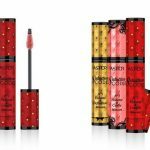 Seduction Codes mascara by Astor can be bought only in black colour. Stay with me my matt complexion! 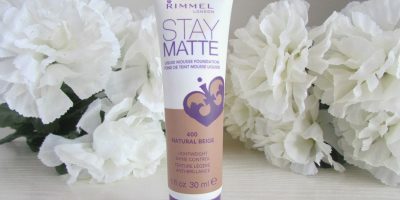 Rimmel Stay Matte Foundation – the solution for glossy face skin? 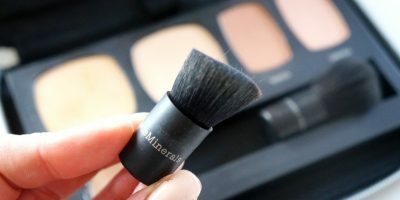 bareMinerals READY® To Go Complexion Perfection Palette – What is hidden inside?